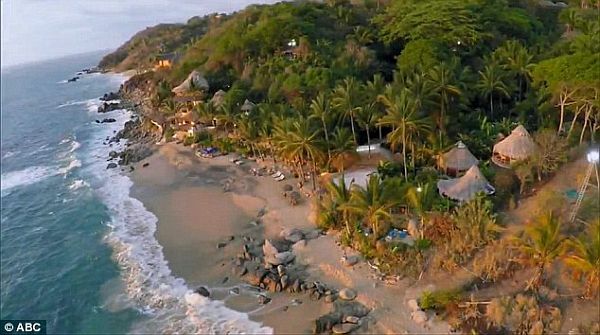 Bachelor in Paradise is filmed at Playa Escondida Resort in Sayulita, on Mexico's Riviera Nayarit. 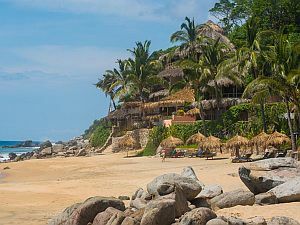 A Pueblo Magico, Sayulita is relatively close to Puerto Vallarta, which is better known for its nightlife and resorts. Puerto Vallarta, Mexico - It might be fun to watch contestants on The Bachelor and The Bachelorette jet off to multiple locations while falling in love, but Bachelor in Paradise offers something even better each season. A bunch of cast-members who were dumped on The Bachelor or The Bachelorette all spend a few weeks at a resort over the summer and try to fall in love. So, where is the Bachelor in Paradise resort in Mexico? You can actually stay there yourself as long as you don't plan on making the trip during the few weeks in the summer when the ABC hit franchise's spinoff is filming. According to Life & Style, the name of the resort where Bachelor in Paradise is filmed in Mexico is the Playa Escondida Resort in Sayulita. The town is relatively close to Puerto Vallarta, which is more known for its nightlife and resorts. Playa Escondida, on the other hand, is meant to be much more private, which is a good thing since the cast of the reality TV show can get a little rowdy from time to time. The resort's website, which features a map that looks like an illustrated version of a shot of the beach on Bachelor in Paradise, describes all of the possible packages. And overall, the cost is not totally outrageous. But any price is a small price to pay to be able to swim where Evan Bass and Carly Waddell fell in love, right? There are multiple room options available for guests who aren't planning to stay at Playa Escondida on the dime of ABC. You can opt for one of the beachfront rooms or suites or stay in the Love Nest, set further back in the resort. There are also romantic villas in Bird Canyon which is also situated a little farther from the beach. But Bachelor in Paradise isn't putting up a front with all of the beach amenities they show. It's basically like one long advertisement for the resort because you can even drink at the beachfront bar that Wells Adams tends each season. Beachfront rooms start at $250 for the night and go all the way up to $495. Rooms in Bird Canyon are as low as $190 nightly, but can be as costly as $320. Obviously it depends on your budget, but as far as private Mexico resorts go, it could be a lot worse. The resort also offers romantic horseback rides on the beach, yoga, and boat rides to watch the whales out in the ocean. Bachelor in Paradise might not feature every little thing that the resort itself offers guests, but I'm pretty sure I've seen contestants embark on sunset horseback dates.